In its 2019 Regular Session, the General Assembly considered 2,362 bills. It passed 950, defeated 1,311, and merged 101 with other legislation. The next step for the 950 was signature, veto, or amendment from Governor Ralph Northam, who had until midnight Tuesday, March 26 to act. As you can gather from the above numbers and past updates from our Legislative Team, you know this was a busy Session for both the Commonwealth’s legislature and VADA. Our Association went forward with six bills, and we are pleased to announce the Governor signed them all. If you recall, our proposed legislation addressed the sale of used vehicles at an auto show, dealer rights upon the discontinuation of a manufacturer, notice of sale in the mechanics lien process, DMV’s oversight of franchise matters, and a manufacturer’s right of first refusal in a buy-sell. Full descriptions of these bills are below. Now signed into law, each will become effective July 1, 2019. If you kept up with our Capital Briefs newsletter, you know the bills addressing a manufacturer’s right of first refusal garnered the most attention among those we asked patrons to carry. By limiting a manufacturer’s right of first refusal, H.B. 2174 and S.B. 1464, carried by Del. Jason Miyares (R-Virginia Beach) and Sen. Jeremy McPike (D-Prince William) respectively, were designed to protect the assets of new car and truck dealers hoping to sell or expand their business. They were met with fierce opposition from individual carmakers, the Alliance of Automobile Manufacturers, Volvo Heavy Duty Trucks, AFL-CIO, and UAW. They were powerfully supported by the new car and truck dealers of Virginia, VADA staff, and the National Association of Minority Automobile Dealers. We are thrilled to see our bills reach the finish line. Your help made it possible. 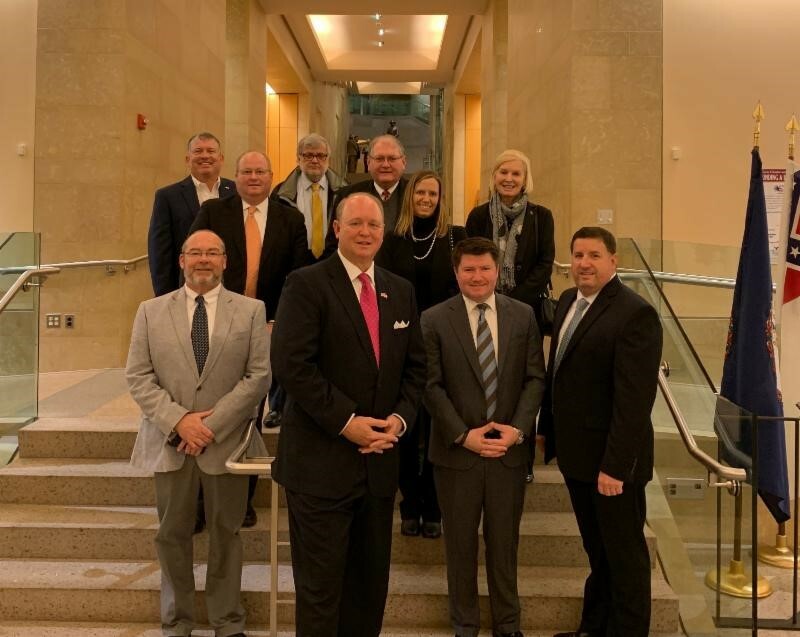 Our advocacy for this legislation began last August, when dealers and VADA staff started meeting with party leaders and Transportation Committee members, back home in their districts, to discuss our legislative ideas. It continued throughout Session—in person, in subcommittee, in full committee, in waiting areas outside the Senate and House floors, via telephone call and text message, early in the morning, late at night, and every day of the week, including Saturdays and Sundays. We were assisted, of course, by the many dealers who took time out of their busy days to help. Several, including a sitting U.S. Congressman, made phone calls to their Virginia senators and delegates to talk about the bills. Some wrote to legislators, asking them to carry or support the legislation. Roughly forty dealers attended our Assault the Hill event and walked the halls of the Capitol and Pocahontas Building. Others traveled to Richmond, some driving several hours, to appear and/or testify in Transportation Committee meetings. It took all of us to reach this point, and we are immensely grateful. When Session ended, the feeling was not one of absolute victory but rather pride, cautious optimism, and relief. Getting through the legislature is an accomplishment, but it was never the end, as the Governor would have opportunity to approve, disapprove, or change the language we worked hard to craft. Now, any sliver of uncertainty is gone. We did it. You did it. And we cannot thank you enough. We also would like to thank Members of the House of Delegates and Senate for considering and passing our proposed legislation. We are similarly grateful for the Secretary of Transportation, Shannon Valentine, with whom we worked closely this Session, especially on the bills addressing the right of first refusal. Finally, we thank the Governor’s staff and the Governor himself. Below you will find links to recorded committee meetings, when legislators considered our bills. Also, you will see several pictures of those who traveled to Richmond to lend their support. If you have any questions, please reach out to one of our two staff attorneys, Anne Gambardella, Esq. or Tommy Lukish, Esq. Anne can be reached at (804) 545-3006 or AGambardella@vada.com. Tommy is available at (804) 545-3028 or TLukish@vada.com. Below is a link to the Senate Transportation Committee’s review of S.B. 1333, which addresses dealer rights upon the discontinuation of a manufacturer. The Committee approved 13-0. Below is video of the Senate Transportation Committee’s consideration of S.B. 1464, which addresses a manufacturer’s right of first refusal. The most extensive opposition from the car manufacturers is seen in this video and the next. The Committee voted 13-0 in support of the bill. Here is video of the House Transportation Committee’s consideration of H.B. 2174, which addresses both dealer rights upon discontinuation of a manufacturer and the right of first refusal. The Committee voted 22-0 in favor. Below is a recording of the Senate Transportation Committee’s review of H.B. 2174. This occurred after “crossover,” when each house considers legislation from the other chamber. This was the first committee meeting at which Volvo Trucks and the labor unions spoke in opposition to our legislation. The Committee voted 11-2 in favor of the bill. Click the below link to view the Senate Transportation Committee’s consideration of H.B. 2039, which addresses the sale of used vehicles at an auto show. This occurred after “crossover.” The Committee supported the bill 13-0. Below is video of the House Transportation Committee’s review of S.B. 1464. This also took place after “crossover.” You will find Volvo Trucks repeat many of their arguments. The Committee voted 19-3 in favor of this legislation. The VADA focused its time and energy on many issues heard this session. Please see the updates on the legislation we are tracking. 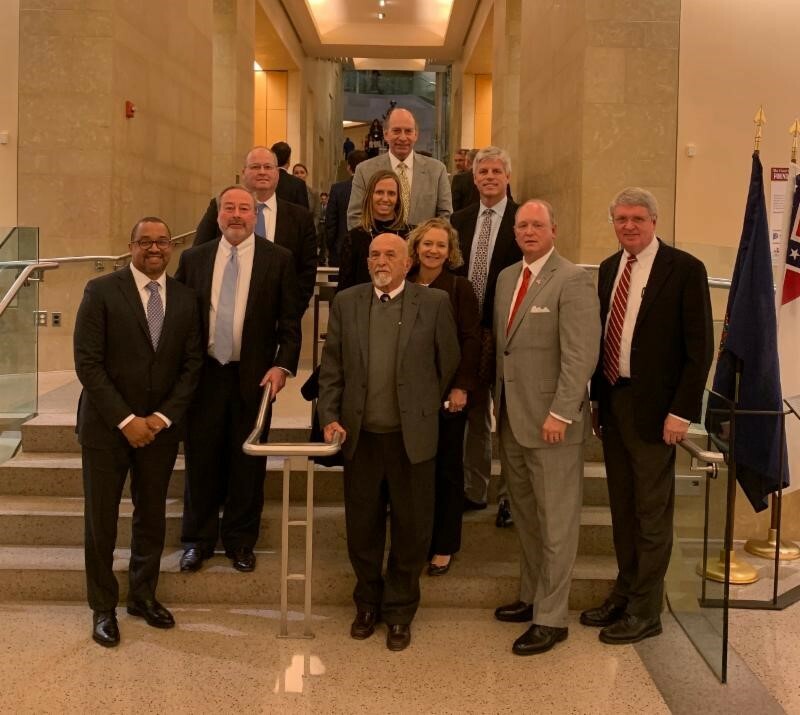 As always, we will continue our role at the General Assembly of serving the new car and truck dealers of Virginia. Allows a dealer participating in a new car and truck auto show to obtain a temporary license to sell used vehicles at the show by virtue of participation. Provides rights to dealers whenever a manufacturer or distributor is eliminated or loses its rights through sale, merger, or otherwise. Prohibits the exercise of the right of first refusal whenever a proposed buyer is a dealer licensed in the United States. Provides rights to dealers whenever a manufacturer or distributor is eliminated or loses its rights through sale, merger, or otherwise. Provides enhanced enforcement through DMV of Virginia law that requires manufacturers to compensate dealers 1% of a vehicle cost, including repairs and reconditioning, whenever manufacturers prohibit a dealer from selling used vehicles subject to recall under federal law but fail to provide a fix. Enforcement is provided in another Code section. Therefore, there was no need for this bill to move forward. 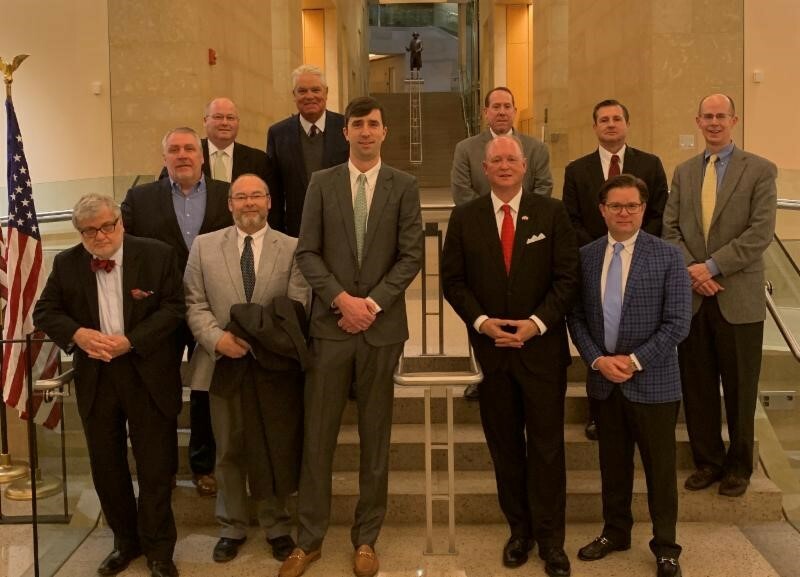 Allows the Virginia Automobile Dealers Association to pursue the defense of dealers’ rights by establishing that VADA has standing to challenge manufacturer violations of Virginia law. Formalizes a process for DMV’s oversight of franchise matters. Modified to remove language involving association standing. While the legislation was not aimed at any manufacturer individually, this change respects long-standing policy that matters pending before the Court are not typically the subject of legislation. The Governor approved the remainder of the bill. Simplifies the mechanics lien process for vehicles by allowing posting of notice of sale through a website operated by the DMV or a newspaper of general circulation in the locality where the property is located. Minimum Wage and Right-to-Work – Various measures have been introduced to increase the minimum wage amount. An additional bill would threaten Virginia’s status as a right-to-work state. We are working in concert with the Virginia Chamber and other business groups in opposition such legislation. This is an example of the sort of non-industry specific, business legislation that we monitor to ensure your stores are protected. The House and Senate Bills proposing an increase in the minimum wage amount were defeated. The House right-to-work bill did not go forward. Safety Inspections – Measures have been introduced that would allow new vehicles a 24-month safety inspection sticker. Other measures in the House would raise the inspection fee. One Senate bill would require the DMV and State Police to jointly evaluate the feasibility of including in a safety inspection the inspection of window tint and noise levels of exhaust systems. Additional legislation has been introduced to allow individuals that have committed nonviolent felonies to become safety inspectors. The measures that would have allowed a 24-month safety inspection sticker on new vehicles did not go forward. The Senate Bill requiring a joint review from DMV and State Police of the feasibility of including inspection of window tint and noise levels of exhaust system in safety inspection did not go forward. The legislation that would have allowed individuals that have committed nonviolent felonies to becomes safety inspectors did not go forward. The Senate Bill that would have increased inspection sticker cost did not go forward. The Governor approved the similar House Bill to increase sticker cost from $16 to $20. GAP Waivers – Bills introduced in both the House and Senate would ensure GAP Waivers sold by automobile dealers are not classified as insurance. Air Bags – A measure introduced enhances penalties for counterfeit airbags or supplemental restraint systems. Peer-to-Peer Motor Vehicle Rental Services – Bills in both the House and Senate were introduced that would direct the DMV, in working with the State Corporation Commission and Department of Taxation, to convene a work study group to study the implications of electronic peer-to-peer vehicle rental services. This legislation did not go forward.